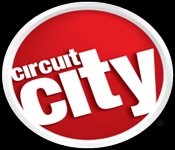 Circuit City was a publically owned Chain of computer and technolgy superstores. At the time of its liquidation Circuit City had about 567 superstores nationwide. ON November 10th 2008 they filed for Chapter 11 bankruptcy. After a substantial loan was given to them for restructuring Circuit City still struggled to keep its doors open. After not being able to find a buyer Circuit City was forced to Liquidate all of their assets.